Tian shan's retreating "Number 1 Glacier" has split in two. 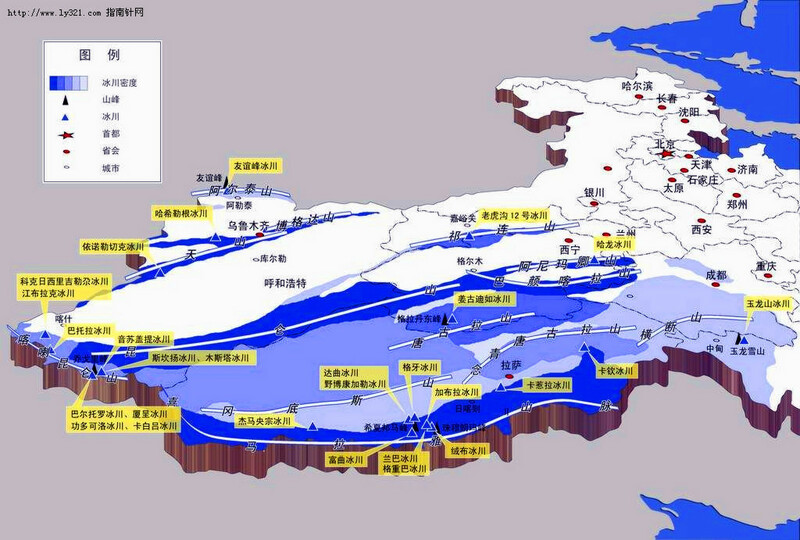 This glacier is a major source of water for the provincial capital of Urumqi. Monitoring station at the Tian shan "Number 1 Glacier"